Australian airline Qantas has always been quick to embrace new technology. Back in October 2010, it became one of the first airlines to offer iPads as in-flight entertainment systems, and one of the first to embrace Passbook last November. Today the company launched a new iPhone app that allows users to search and book flights, find accommodation and store digital boarding passes in Passbook. Once you’ve booked your flight, the app provides you with a digital boarding pass that you can store within Passbook. You can also use the app to book over 100,000 hotels worldwide, access up-to-the-minute flight status, and view your frequent flyer points balance from the home screen. 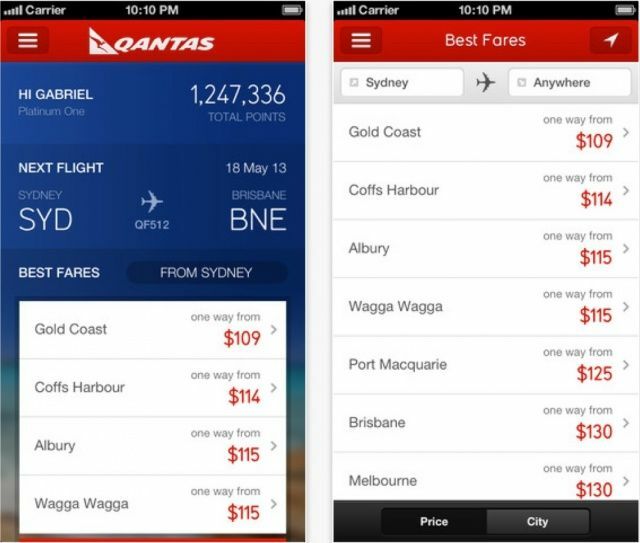 If you’re a Qantas customer, the app is sure to enhance your flying experience. Apple launched Passbook last September alongside iOS 6, and although a number of big companies have supported it, adoption has still been fairly slow — particularly outside of the United States. Qantas is one of the few international companies to have embraced it.